Shop Swago will begin on Monday, February 6th at 9 am PDT/12pm EDT, make sure you hit “Join” otherwise you won’t get credit for completing the action items. Each square on your Swago Board will contain an action item to complete. As always, if you just join today and want some helpful tips on earning, please feel free to ask. 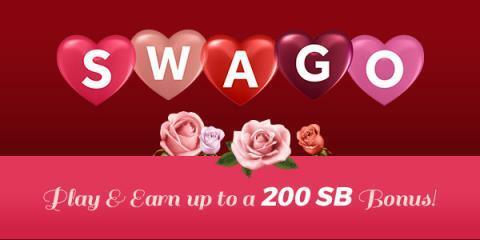 I want you to earn with Swagbucks.